President Obama hasn't indicated publicly that he will reorganize the White House staff. But sources are telling Marc Ambinder and Glenn Thrush, among others, that Obama is thinking about it. I presume that is a good thing. I don't know enough about the internal dynamics of the administration to understand how much responsibility, if any, advisers and staff bear for Tuesday's drubbing at the polls. (Ultimate responsibility for these things lies with the president anyway.) But I've seen and heard enough to believe the White House isn't doing a terribly good job of formulating and communicating its message. That needs to change. With that in mind, here's one totally uninformed and, quite possibly, half-baked suggestion: Make good use of some Democratic Party's newly unemployed talent. Four Democratic governors will find themselves out of work come January: Jennifer Granholm of Michigan, Ed Rendell of Pennsylvania, Bill Richardson of New Mexico, and Ted Strickland of Ohio. Strickland narrowly lost his re-election bid; the rest are out of office because of term limits. Obama is having trouble with white, non-college educated voters, particularly in the industrial midwest. Whether that's a function of the policy decisions Obama has made or the way Obama has explained them, Rendell and Strickland might be able to help. Both have proven track records of winning over precisely these sorts of voters in precisely that region. (Strickland came damn close to winning on Tuesday, despite the powerful Republican currents of the day. As my colleague Noam Scheiber observed, he did so with a brutally effective dose of populism.) I particularly like the idea of Rendell in the administration because he's obstreperous. When he thinks the people around him are screwing up, he says so--loudly. That's not exactly in line with the administration's "no drama" motto but, right now, a little drama might be helpful. 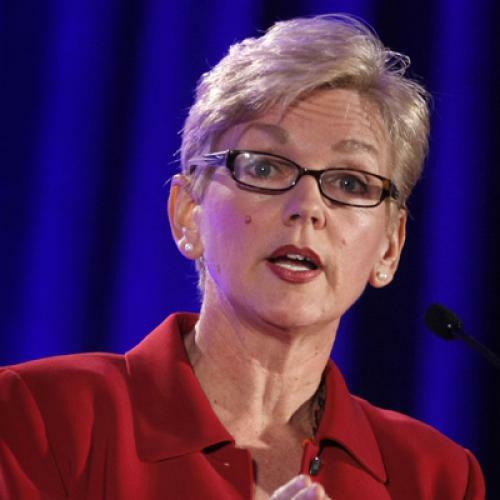 The case for Granholm is a bit different, as she isn't exactly popular in Michigan these days. Had she been eligible for re-election and had she run, she almost surely would have lost badly. But she's smart, tough, and good on television--not to mention a useful public face for a party trying to shore up its support among women. Richardson could perform the same outreach role for Latino voters, plus he happens to have a pretty impressive resume of executive branch service during the Clinton Administration. Where could Obama put these people? The cabinet is one possible place. It seems sort of criminal that, at a time when the economy is front and center, Obama's secretaries of Commerce and Labor have been virtually invisible. Again, I have no idea why that is. Perhaps Gary Locke and Hilda Solis are doing phenomenal work. (If so, it's even more criminal of the White House not to put them front and center.) But either post would seem like logical places for Rendell or Strickland. I'm sure there are other people whom Obama could tap for his administration. And personnel changes won't do a thing if Obama doesn't actually give disaffected voters substantive reasons to vote for him. (I think all four of these people would exert a good policy influence; otherwise, I wouldn't suggest them.) But since Obama apparently has his chief of staff reading through resumes, maybe somebody should talk to these folks. I hear they have some time on their hands--or will pretty soon.